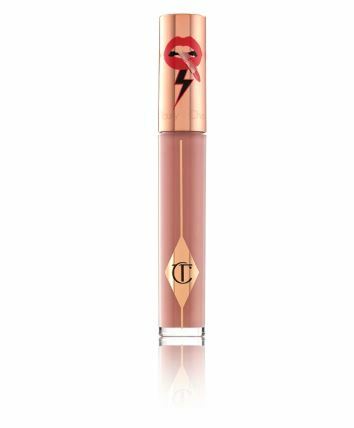 Charlotte Tilbury‘s newly unveiled makeup products, the Icon Palette and Latex Love lip glosses, are designed to make you feel like a superstar. Inspired by the dancers and rockstars that she partied with in Ibiza, the Icon Palette is a 12-shade eyeshadow palette that the makeup artist compares to an “illuminated LED dance floor”. It comes in a sleek, mirrored palette which adorned with graphics that pay homage to David Bowie. Latex Love lippies arrives in six universally flattering shades — from the classic, bold red “Studio 64” to the rosy pink “Cannes Tropez” — the lip product is made with ingredients such as crambe seed oil and emollient oils that give the lips a glossy effect and a smooth texture. 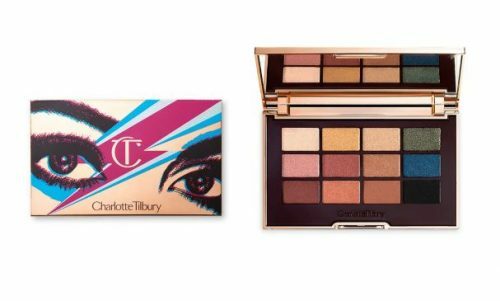 These two limited-edition products will launch on Charlotte Tilbury webstore next month. UK shipping is FREE on all orders over £49, get us ship your order back via our UK warehouse!